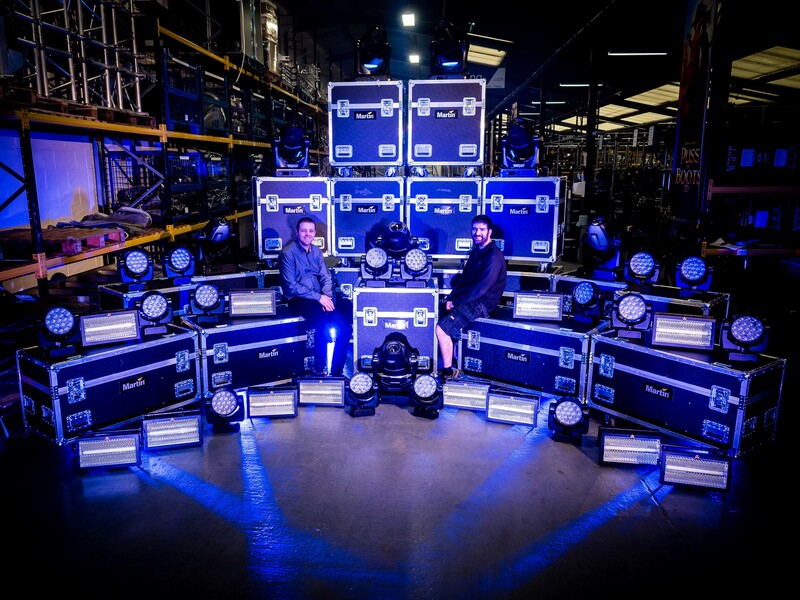 Impact Production Services (IPS) has added more than 100 lighting fixtures from Martin by HARMAN to its rental stock, including upgrading all existing MAC Auras to the enhanced XB edition. The significant investment also included the addition of the first Moving Head LED Profile fixture to the IPS inventory in the form of the MAC Quantum Profile. Completing IPS’s new line-up is the Atomic 3000 LED Strobe, combining the power of the traditional strobe with the flexibility of an LED product and the backlight of an Aura. The Martin MAC Quantum Profile has a high output LED source and is very much a replacement option for 700 W discharge fixtures. Mason commented that all of his team members who have used the MAC Quantum Profile so far have been impressed. As a high-quality LED profile fixture with full CMY colour mixing, it performs incredibly well. The fully featured MAC Quantum Profile includes a new range of gobos—with the same size replaceable gobo as the MAC 550/700 units. This is all offered in a package that is more lightweight than the equivalent discharge units. The Martin Atomic 3000 LED Strobe is a reinvention of the classic Atomic strobe. Still offering the dazzling white burst from the Xenon version, the LED version also had the Aura LED Backlight system to provide an eye-candy look to the reflector. “The backlight allows us to create many more looks from what has previously been only a strobe effect,” said Mason. The fixtures are all set to be hardworking additions to the IPS hire stock—and the MAC Quantum Profiles have already seen some film premiere action with their debut at the recent Batman V Superman: Dawn of Justice premiere in Leicester Square. For more information, please visit: www.impactproductions.co.uk.